On a monthly basis, Frontier Market News will look at the best and worst performing Frontier Markets. Here’s the list for April 2017. 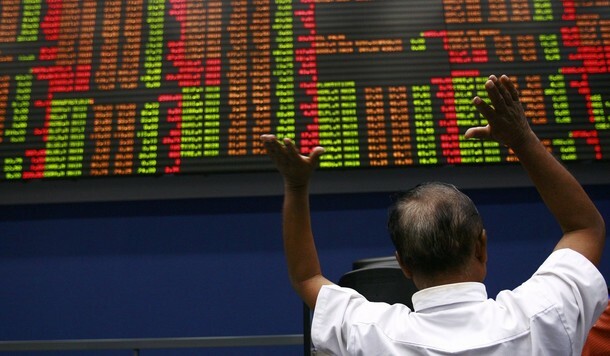 After enjoying a 10.45% increase in the Colombo Stock Exchange over April, Sri Lanka has been ranked as the best performing Frontier Market for the month. Kotmale Holdings returned an impressive return of just over 221%, which filtered through into the overall performance of the bourse. The exchange has benefited from consecutive days of inflows from foreign investors, with total turnover standing at 51.4%, the first time it has exceeded 50% since 2008. Sri Lanka has recently proposed stricter requirements in respect to the audit of listed company financial statements. Under the new rules, firms are now required to submit an “impact report” to the Colombo Stock Exchange with details of the audit qualification of their financial statements. Relatively speaking, Cyprus has been one of the quieter Frontier Markets over the last for year since the effects of the crisis in Greece providing huge systematic risks to the country. Dodoni Portfolio Investments, the best performing stock in April, is currently up 300% since the beginning of the year. April proved to be a busy month as Chinese investors continued to contribute to the construction sector, inevitably filtering through to real estate listings on the market by pushing their prices up. The Cypriot government also signed four agreements with India, covering culture, agriculture, merchant shipping and air services. Latvia features in the Top 5 for the second month running, owing to the solid performance of the companies listed on the Riga Stock Exchange. Rigas ElektroMasinbuves enjoyed a 129.73% gain after releasing plans to implement an energy efficiency project. Fitch Ratings also reaffirmed the country’s long-term foreign and currency issue default ratings. The island nation of Mauritius takes fourth place in this month’s edition. The country’s business climate is ranked as one of the best in Africa and has also experienced a 230% increase in the number of millionaires between 2006 and 2016. Argentina completes the list after a decent performance which saw its stock exchange make a gain of 4.52% in April. The fiscal deficit came in at 0.4% of GDP in the first quarter of the year, beating a target of 0.6%. Responsible and cautious public spending was cited as the reason for exceeding the objective. Investors will be keeping a close eye on the South American nation in May as Morgan Stanley Capital International (MSCI) mulls over a potential decision to reclassify Argentina from a Frontier Market to an Emerging Market. Croatia has been ranked as the worst performing Frontier Market for the second month in a row, falling an additional 8.44% in April, compared to a 10.43% fall in March. Many companies have felt the brunt of the latest Agrokor crisis, especially Zagrebacka Banka who recorded a HRK 167 million ($24.45 million) loss in the first quarter of the year. Despite the poor microeconomic performance being witnessed, the IMF has increased Croatia’s economic growth forecast for the year from 2.1% to 2.9%. The Beirut Stock Exchange in April 2017. The Beirut Stock Exchange started off poorly in April and was unable to produce a significant rebound at the end of the month. BLOM Bank, the bourse’s largest decliner, posted a 3.5% increase in its year-on-year first quarter profits, taking it up to $112 million. Bank Audi also enjoyed a profitable first quarter after recording a net profit of $110 million. After announcing a marginal increase in full year profits for 2016, KCB Group revealed its intentions of cutting more jobs in order to reduce costs, with Sh2 billion ($19.4 million) quoted as the figure being targeted. On a macroeconomic level, the World Bank has commented that uncertainty created by government policies has forced it to cut its 2016 growth forecast from 7.2% to 6.9%. The international organisation also suggested that Tanzania should increase investments in infrastructure in order to further boost economic growth in the East African economy. Finally, the Dhaka Stock Exchange’s 3.54% fall in April means that Bangladesh ranks as one of the worst performing Frontier Markets for the month. During the month, market turnover reached record lows. Ironically, it has been reported that many market intermediaries (such as stockbrokers and dealers) have no idea why the market has declined, especially in a climate where political and economic conditions are stable.